Why not the same “investment” hoopla for entrepreneurship? I’d like to suggest a new way for governments to look at seed stage technology company funding. I’d like to suggest that state governments in particular think about funding seed stage tech companies in the same way that they look at funding highways, and sewer lines and schools and baseball stadiums; specifically, look at early stage tech company funding as a long-term infrastructure investment. 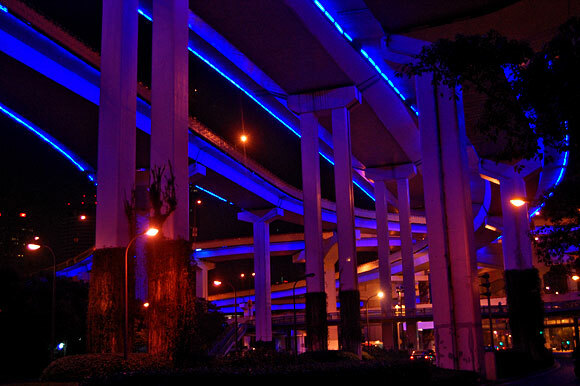 Invest in entrepreneurs…the highway of the future! 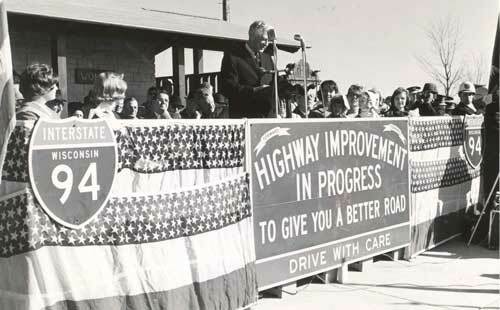 In 1956, the Federal Aid Highway Act was passed, setting in motion the largest single public infrastructure development program in American history. Wikipedia says it may be the biggest public project since the pyramids! I’m not sure about that, but it was certainly big! And where would the American economy be today without it? It would be nowhere. If you read some of the legislative history of the bill, you might be amazed to hear that there was considerable opposition. Just like there had been in the 1820’s when John Quincy Adams led the charge for dramatically increased spending on canal, communication and road improvements. These projects needed long term visions and long term investment perspectives to reach completion. Eisenhower prevailed, but Adams did not. Investment payoffs come over time. Long term investments, in a private corporation, get placed on the balance sheet as an asset. Financing for the asset tends to be longer-term in nature and as time passes, the value of the asset is reduced gradually on the balance sheet through depreciation on the income statement. The theory behind this is that the investment generates value for the organization over time as financial portions of the investment are “spent”. What you expect is that the overall value of the organization is increased more over time than the investment costs you. Of course governments don’t work quite like businesses. And investment in “entrepreneurship” is not exactly easy to quantify. While physical assets like roads and sewers have relatively easy-to-guesstimate lifespans, allowing for reasonable-to-assume annual depreciation amounts, intangible assets do not lend themselves so easily to these calculations. Often, then, investments in economic development programs that direct funding to seed-stage technology companies are not viewed as long-term investments. They are viewed as expenses that are expected to support immediate results. And when they compete on that stage, they inevitably lose in public debate. We want our expenses to pay us NOW! Having been around government funding of seed stage tech companies for quite a while now, I would suggest that the investments made in entrepreneurship do not behave like expenses, but rather like long term investments whose return-on-investment is expected to increase over time as that investment begins generating multiplier-effect returns. These investments should be viewed as “long term intangible assets” whose value is measured over multi-decade time horizons. I’ve seen the long term effect of cumulative investments in high-tech entrepreneurship first hand over 20+ years in northeastern PA. And I’ve read about it in countless other communities in the US. If all you do is count the tax revenue generated from the investments, you might be looking at as much as 3.5 ROI! If you tried to count the hard-to-value benefits like repeat entrepreneurs, private capital leveraged, networks of talent connected, abandoned industrial property reused, etc., etc., you’d really have a story to tell. A private business would quantify that value and it would be added to its balance sheet, and investment would probably increase. Unfortunately, too often, public debate forces elected officials to take a shorter-term view of these investments, in spite of their undeniable benefits. Constituents today, as in Adams day, are driving elected officials to give them their benefits today! I’m hoping for a return to more of the Eisenhower-result when a long run view of success prevails for states and the nation. This entry was posted in Commentary/Editorial, Economic Development Policy, Economic History Perspsective, Tech Based Economic Development and tagged economic development, Eisenhower, entrepreneurs, infrastructure, Interstate Highway, John Quincy Adams, public investment, seed stage investing. Bookmark the permalink.